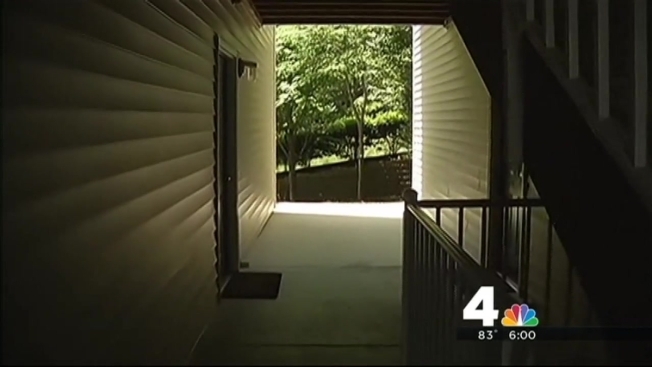 A man raped a mother of two inside her Woodbridge, Va., apartment Wednesday morning, according to Prince William County police. About 4:30 a.m. the 34-year-old victim woke up to find a strange man armed with a handgun in her bedroom, police said. He raped the victim and left the apartment. The children were in the apartment at the time but were not harmed. The victim took them to a friend's home before going to a hospital, where she called police. Police said there's no evidence the man forced his way into the apartment. Based on things the man said to the woman, police believe she was targeted. Neighbors described to police a suspicious man seen in the area multiple times, and police released a sketch of that man.